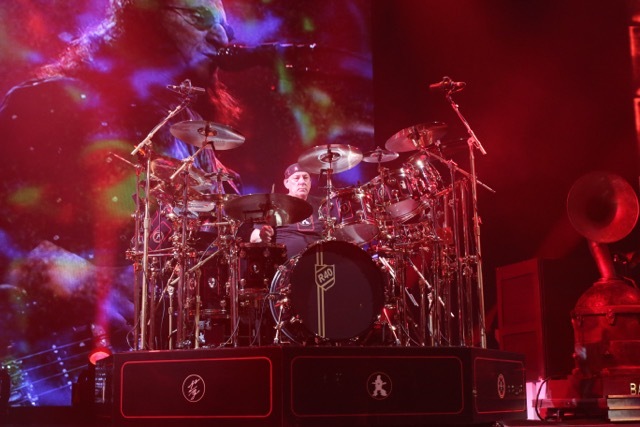 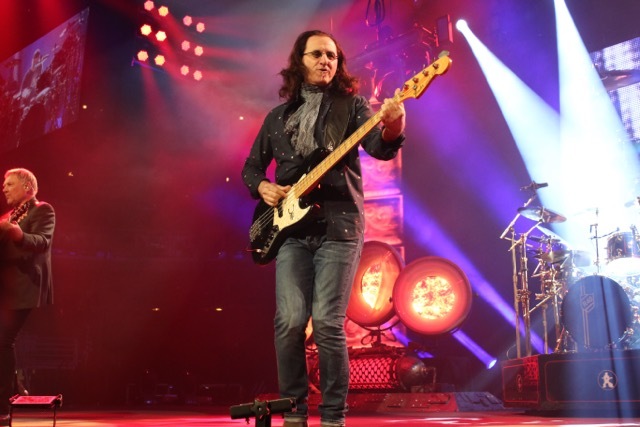 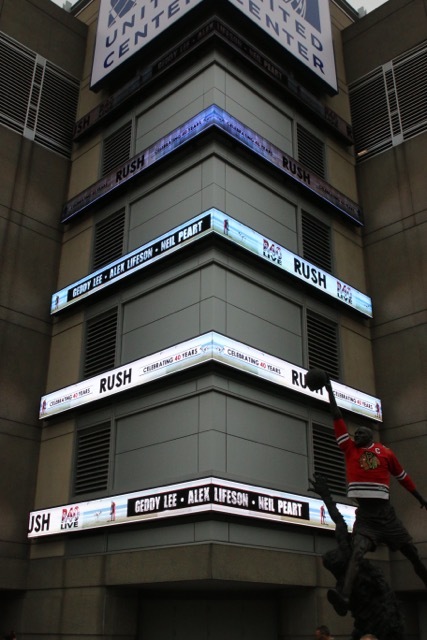 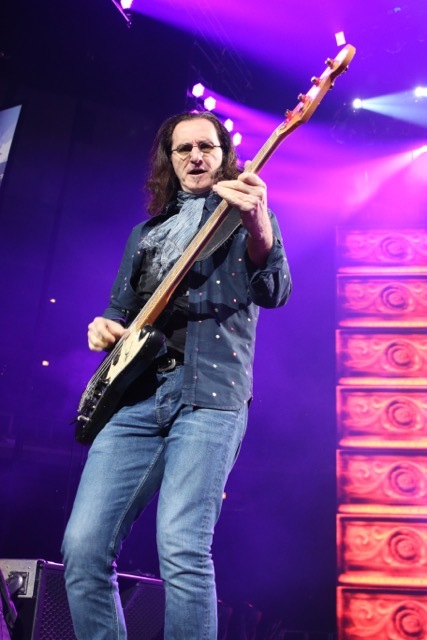 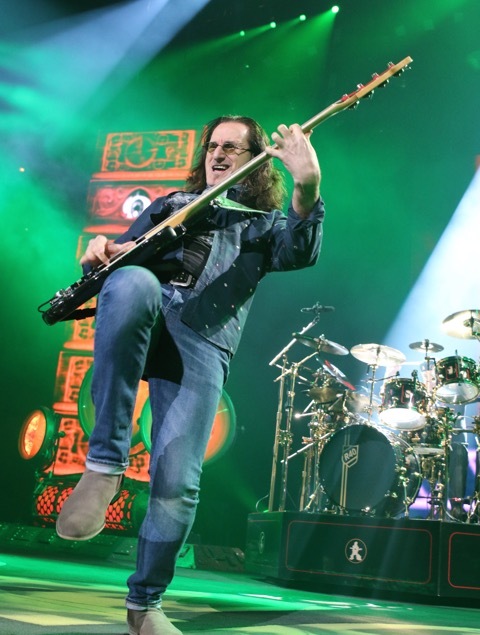 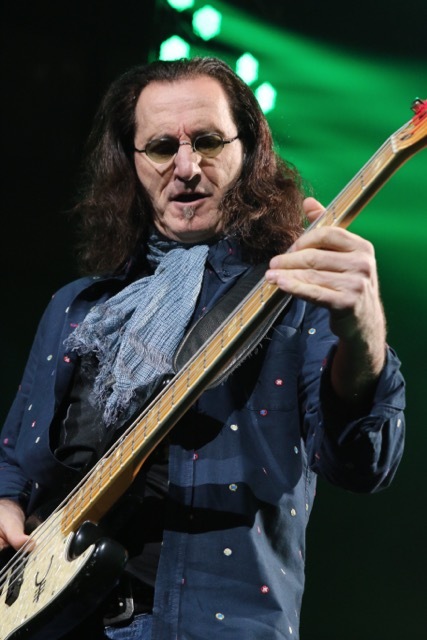 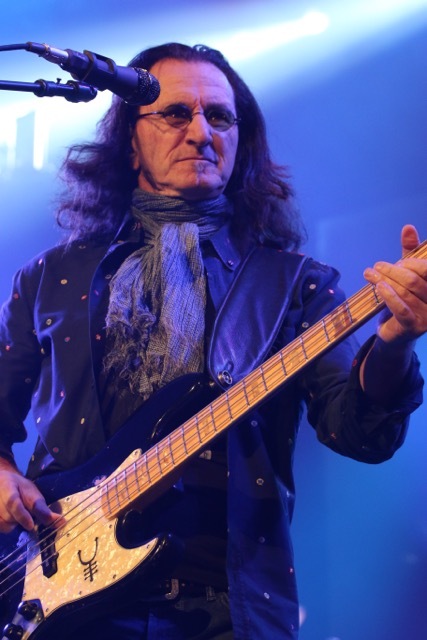 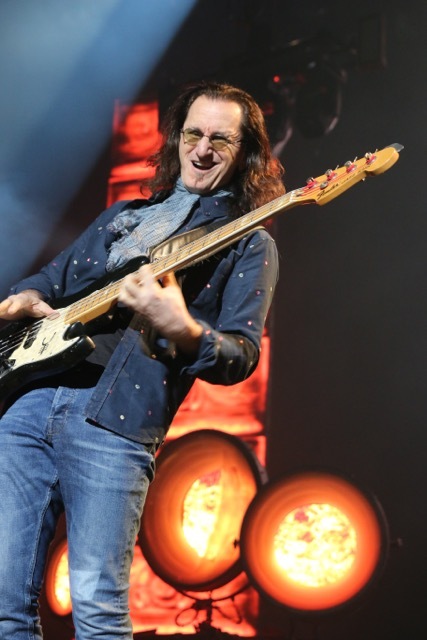 As they enter their fourth decade as a band, Rush are showing signs of slowing down. 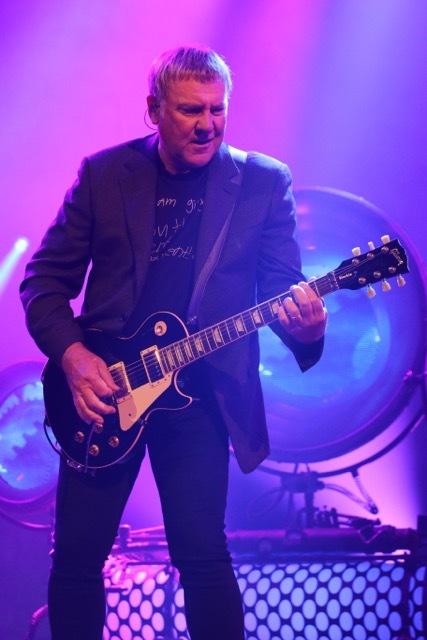 Not in their playing abilities or the prowess they still posses as a live band, mind you. 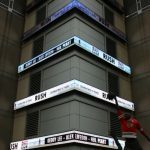 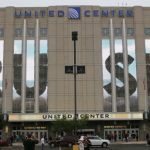 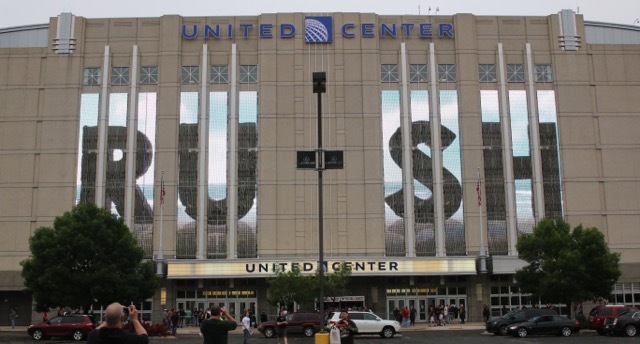 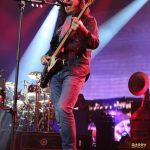 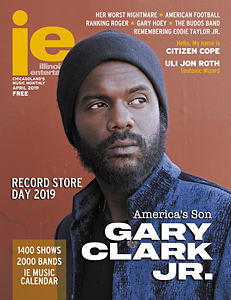 The explosive, facelift tight performance they delivered on Saturday, June 12th at Chicago’s United Center was all evidence to the contrary. 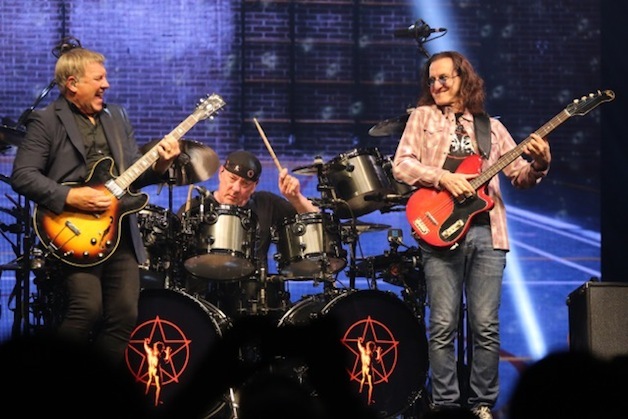 But there have been louder-than-whisper mentions that this will be the Canadian trio’s last extensive tour. 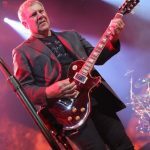 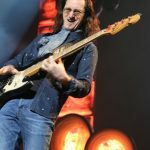 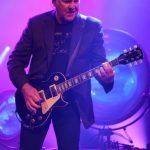 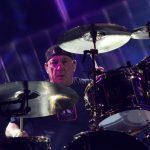 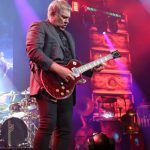 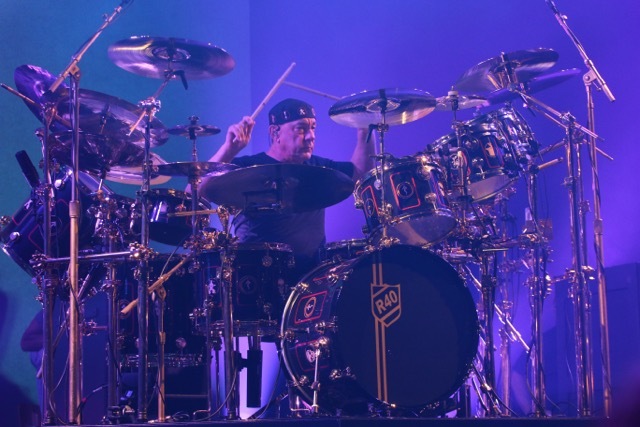 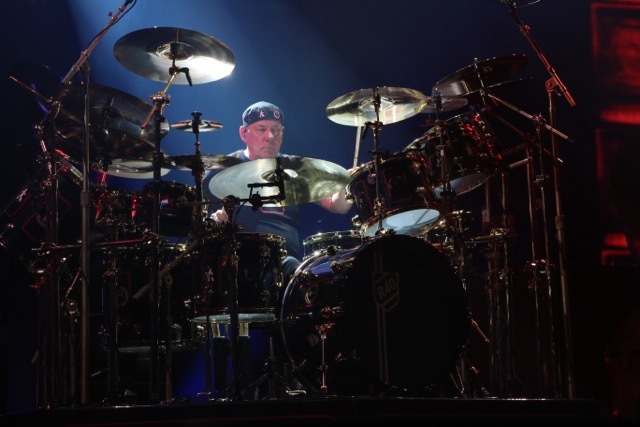 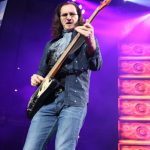 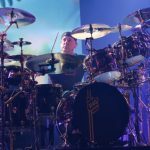 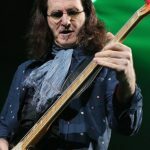 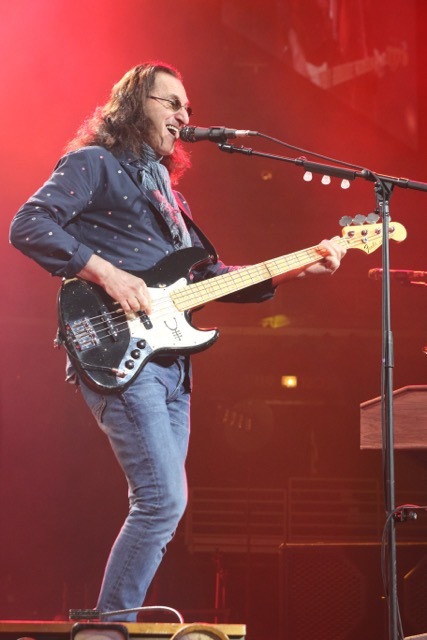 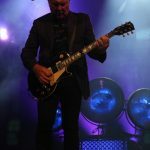 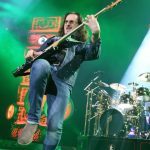 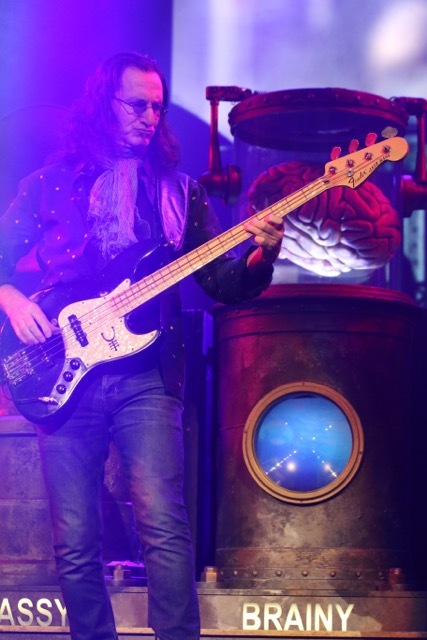 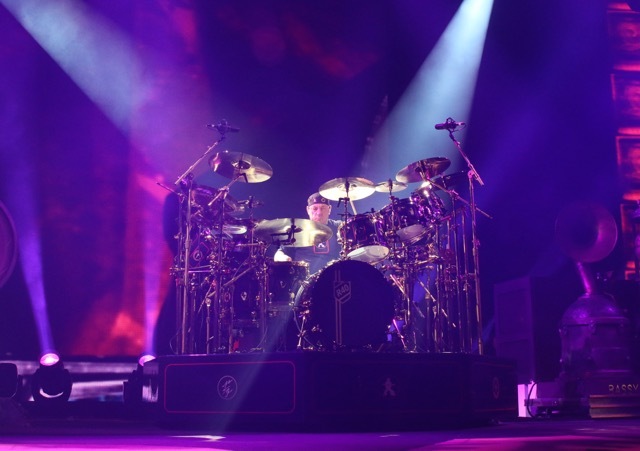 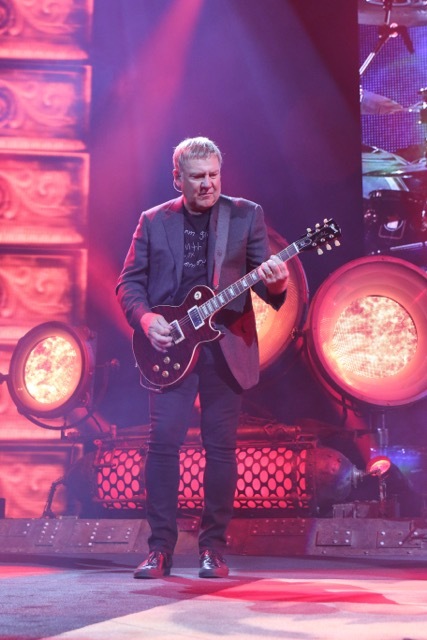 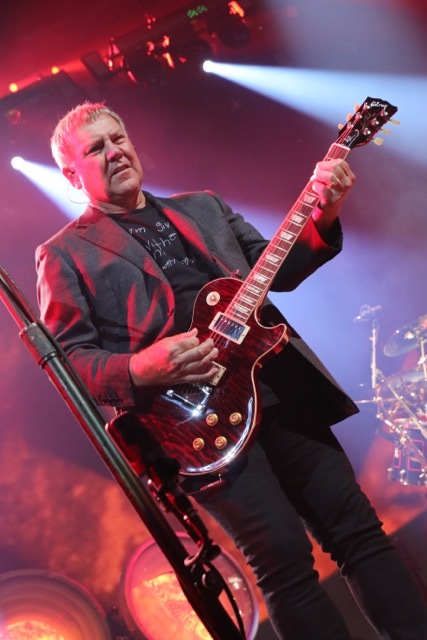 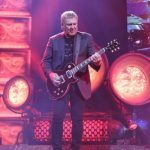 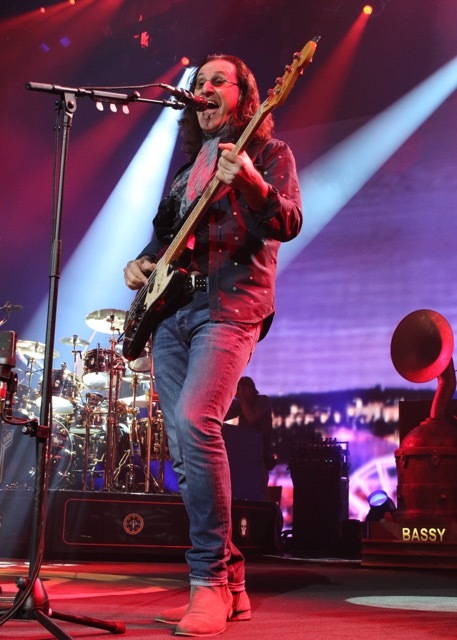 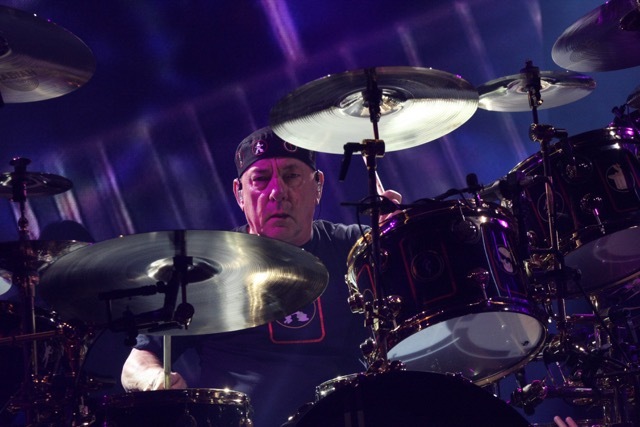 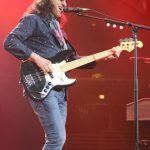 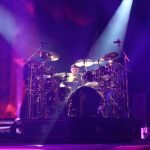 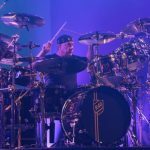 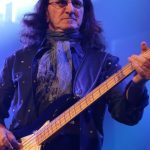 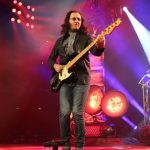 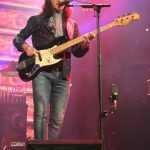 As the recent Rock and Roll Hall of Fame inductees contemplate their future, this evening, dubbed the R40 Tour, was all about revisiting the past, both recent and beyond. 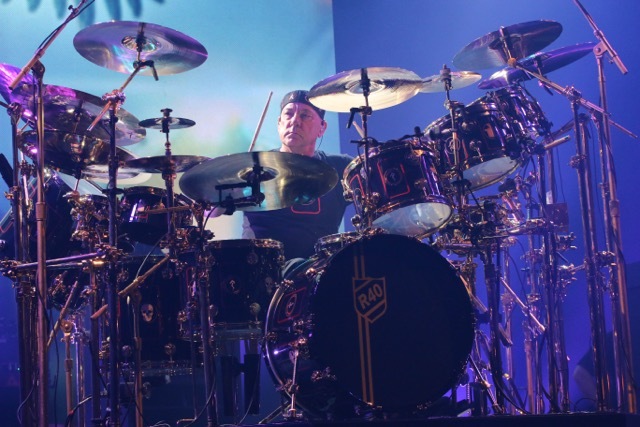 For nearly three hours the band touched on almost all of their studio releases. 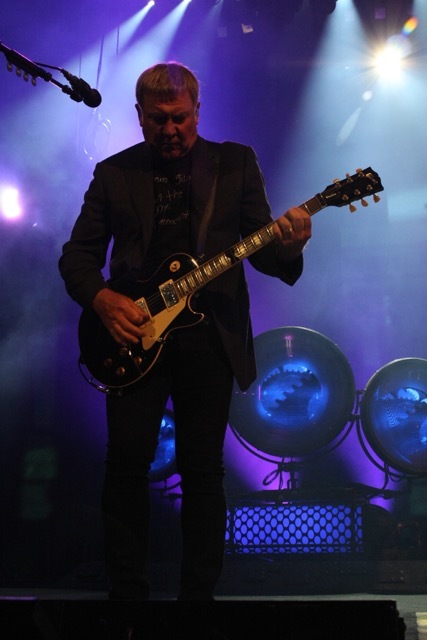 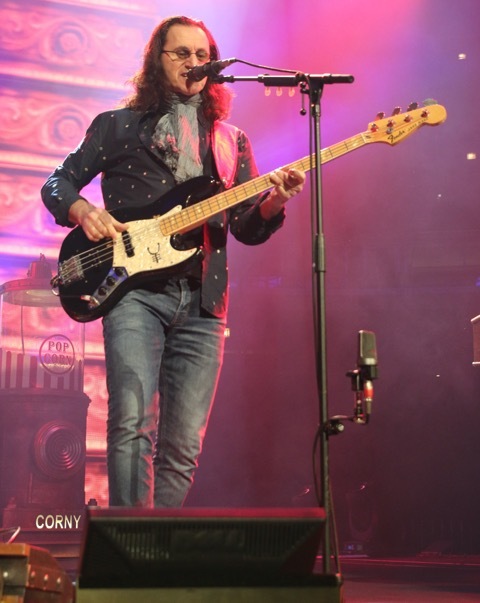 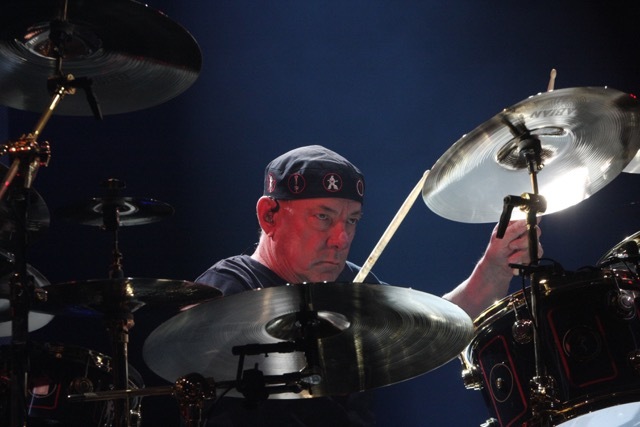 Starting with “The Anarchist,” from 2013’s Clockwork Angels, the band worked backwards, chronologically, ending the evening with two songs (“Working Man” and “What You’re Doing”) from their self-titled, 1974 debut. 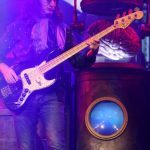 As each decade slipped away, stagehands quietly reconfigured props to correspond with each passing era. 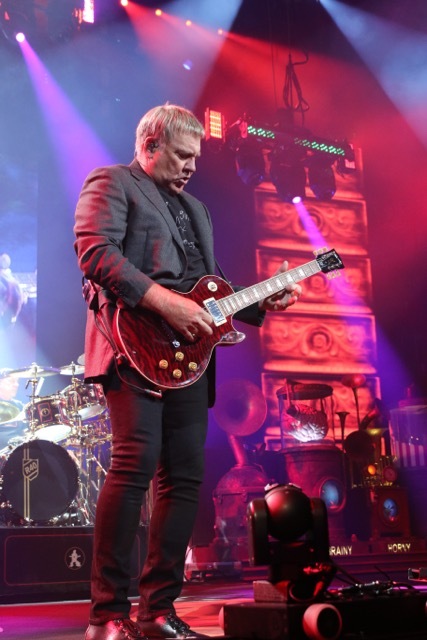 Elaborate video screens gave way to ’80s inspired laser splitters and, finally, a recreation of a high school gymnasium, with single amplifiers placed atop lunchroom chairs. 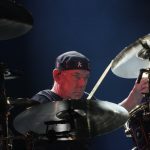 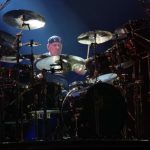 Although drummer Neil Peart briefly paid homage to his 2112-era handlebar mustache (albeit the obviously fake variety) all in attendance were mercifully spared the silky, Kimono robes from said albums’ back cover. 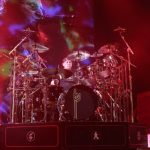 KC in July a good time will be had by all. 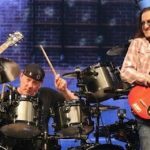 Love the trio photo, Curt!